"Pappu" is a name BJP supporters use to ridicule Rahul Gandhi on social media. Earlier this year, a Congress dissident was caught using the name, which loosely translates to "fool or simpleton". Gandhinagar: The ruling BJP in Gujarat has been asked by the Election Commission to drop the word "Pappu" from a campaign ad that apparently targets Congress Vice President Rahul Gandhi. The term is "derogatory", the BJP was reportedly told, though the party insists it never linked it to any individual. 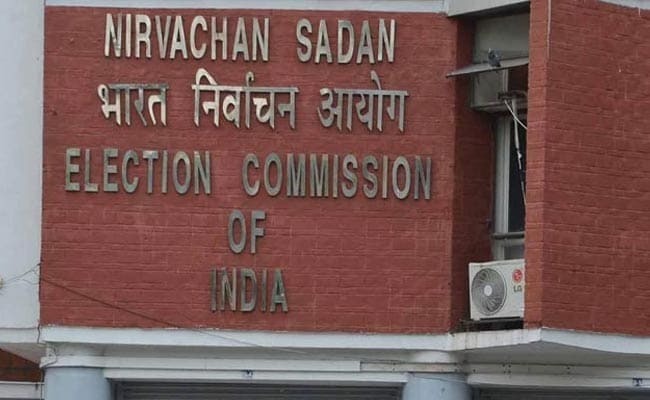 Sources say the BJP on October 31 sent a script for its election ad titled "Kirana (grocery)" to the media committee of the State Election Commission for approval. One of the characters in the ad goes by the name of "Pappu", and when he visits the grocery store, a staff comments: "Sir pappu bhai aaye lagte hain (seems Pappu has come)". The same day, the election body raised objections and said the use of the word "Pappu" was derogatory for "a specific person who is commonly known by that name". It asked the party to remove or replace the word. Earlier this month, the BJP appealed against that decision to the top election officer in Gujarat. But the Commission's reply was the same. "Before making any election-related advertisement, we have to submit a script to the committee to get a certificate. However, they raised objection to the word 'Pappu', saying it is derogatory. They asked us to remove or replace it," a senior BJP leader said, according to news agency PTI. The leader said the party will replace the word and submit a new script for the Election Commission's approval. "Since there was no direct mention or linkage with any person while mentioning 'Pappu' in the entire script, we had appealed to the committee to reconsider their decision, but they rejected it," he said. The Election Commission's reported objection to the BJP poll ad in Gujarat quickly fuelled a buzz on social media, with supporters of the BJP and the Congress taking swipes at each other. "Pappu" and "#PappuCensored" became trending topics on Twitter. Gujarat will vote on December 9 and 14 and the results will be declared on December 18. Rahul Gandhi has campaigned aggressively in the state to try and prevent another win for the BJP, which has ruled Gujarat for 22 years.